Owning a car is costly. Not only do you have to face the initial cost of buying the vehicle (which is often extortionate in itself) but you have to face the many costs required to maintain the vehicle throughout its lifetime. Of course, it’s an unavoidable cost. Like most other people, you likely need this car to get to and from work. For some people, owning a car is definitely a luxury. However, for most people, owning a car is a necessity. You need it to get from point A to point B. Still, you might be spending more money than is necessary. Whilst your car is definitely a necessity, that doesn’t mean you should be burning money just to keep it running. There are definitely many ways to slash the costs of maintaining and running a car. Obviously, the type of vehicle you buy plays a huge part in this. Economical vehicles, for example, can save you a lot of money in terms of petrol. However, you can do more than simply buy an efficient vehicle if you want to reduce the amount of money you spend as a car owner. The following suggestions should help you slash costs. Get a good upfront price. Whilst you will spend a lot of money throughout your vehicle’s lifetime if you own it for several years, there’s no denying that the upfront cost of the car is one of the biggest fees you’ll pay when it comes to your car. That’s why you need to be smart when it comes to buying a new car. Think about ways in which you can bring the cost down; you don’t have to accept the first price you’re offered. Dealers are always going to try to sweet talk you but you can turn this trick around on them by feigning disinterest. You could even get some free additional items for your car such as a full tank of gas or extended service if you work for it. Asking for a part-exchange can also help to reduce the cost of a vehicle. Essentially, this involves giving the seller your old car in exchange for a discount off your new one. It’s a good way to hit two birds with one stone, but you should sell your car privately if you can get more money for it that way. At the end of the day, there are plenty of ways to get a better upfront price when it comes to buying a car. You should never be too eager, even if you’re excited about the prospect of owning a certain model. Hold your nerve and save yourself some money by haggling. 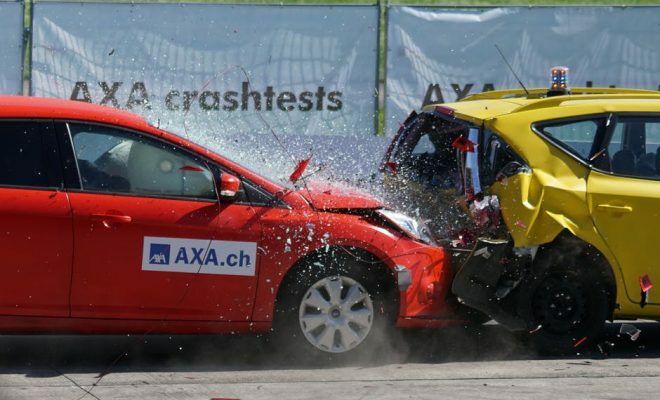 Whilst you may have never had an accident and, hopefully, will never have one, you should definitely consider the possibility of one day being involved in some form of road incident. It doesn’t matter whether you’re a good driver or not; accidents can happen to anyone. If another driver on the road does something careless or reckless and you’re caught in the crossfire then that could put you in a costly situation, both in terms of your health and your vehicle. Defensive driving will help reduce the risk of ever being involved in such an event, especially when you see somebody driving recklessly, but you also need a safety net in place for peace of mind. You should do some research into affordable car insurance because it’s far less costly to have a safety net in place than to deal with all the legal and maintenance costs for a vehicle that isn’t insured. Nobody ever thinks an accident will happen to them but even the safest drivers can be involved in road incidents that were completely beyond their control. If you really want to slash costs as a car owner then you often have to pay a little bit of money to avoid paying a lot of money in the worst case scenario. The best way to reduce the cost of running your car is to look after it. Drive sensibly on the road and you’ll spend much less money because speeding and hard braking are both habits that will waste a lot of petrol. As mentioned in the introduction, buying an economical car isn’t enough; you also need to drive economically. And beyond this, you need to schedule your vehicle for regular maintenance check-ups to ensure everything is working as it should be. It’s better to do this on a regular basis than to face a one-time ridiculously-expensive bill when something major fails in your vehicle.